Joshua Redman trades choruses with some campers. 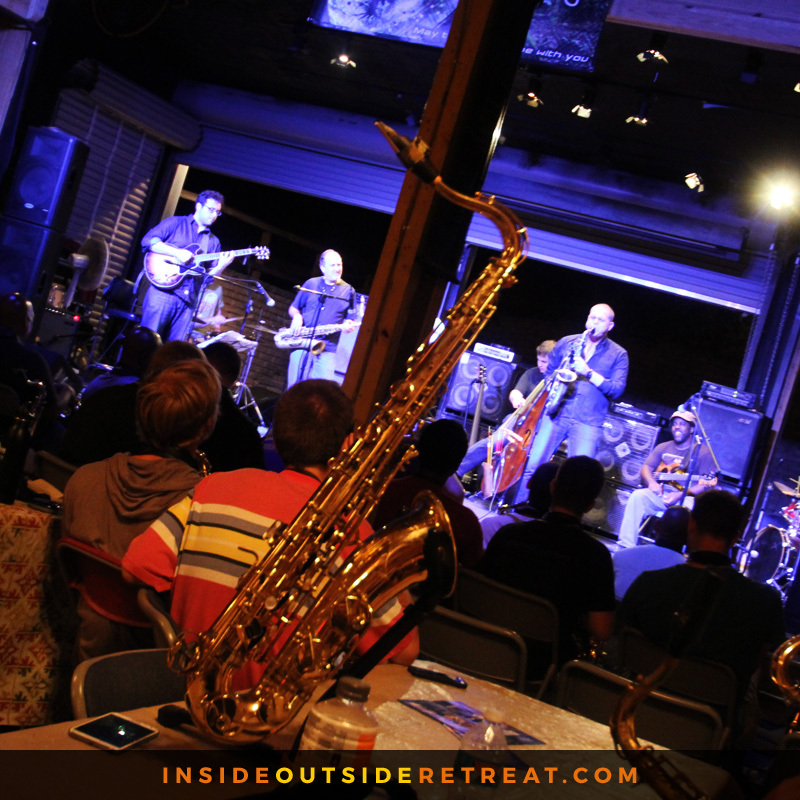 We had the most amazing week at our inaugural Inside:Outside Retreat for Saxophonists. 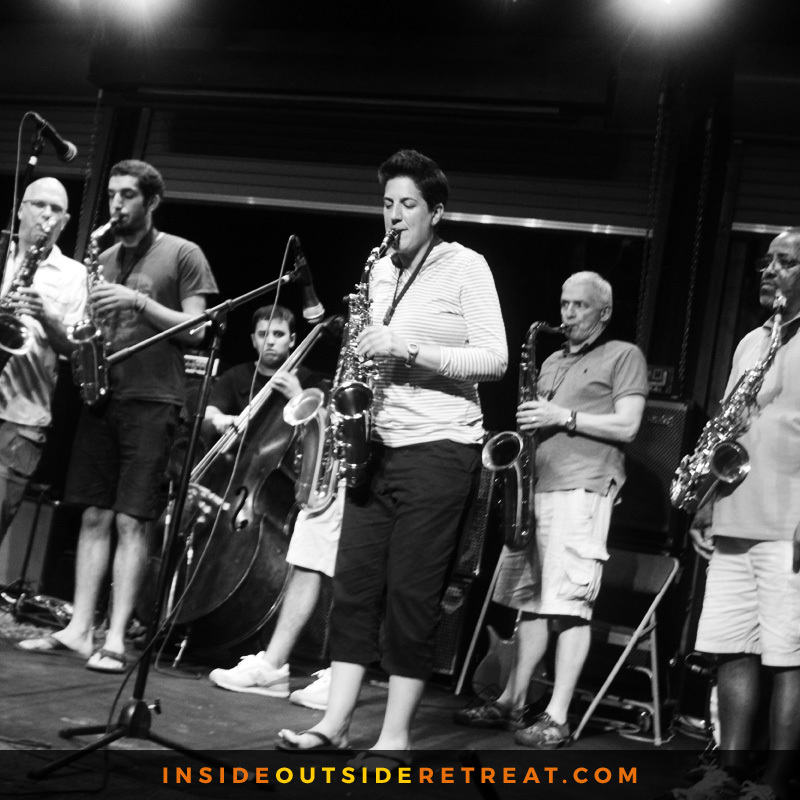 Yes, the days with our guest instructors Kirk Whalum, Victor Wooten, Pedrosaxo-Official and Joshua Redman were beyond words...but it was the 50 saxophonists who showed up, with open hearts and minds, that made the strongest impression. To see all these guys and gals bond from the get go, watch them learn, stretch, and encourage one another...it was a special environment and I'm grateful to have been part of it. BIG THANKS to D'Addario Woodwinds, Claude Lakey, Vandoren USA, Navarro Saxophone Products, Woodwind & Brasswind, to Just Joe's - Saxophone Gel Strap, Legere Reeds and HERCULES STANDS for teaming up with us to provide awesome gear to our campers!! 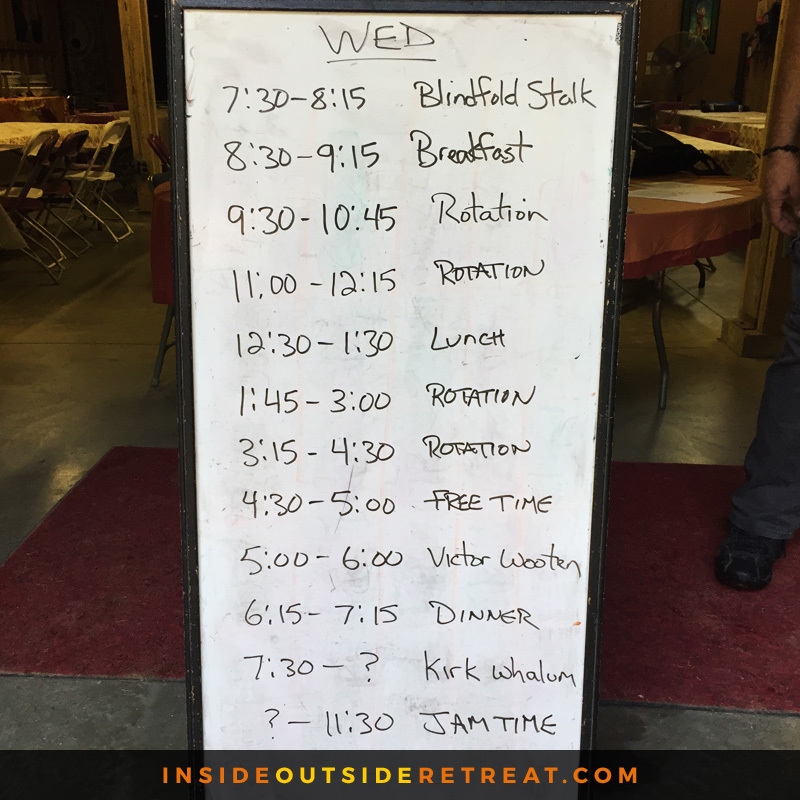 To Victor Wooten, Wooten Woods & VixCamps for hosting us. And to all our staff and volunteers—and chef John, Ross, Gerald, Timmy, Shannon, Russ, Mario, —for taking such great care of us all week. Arrival day. 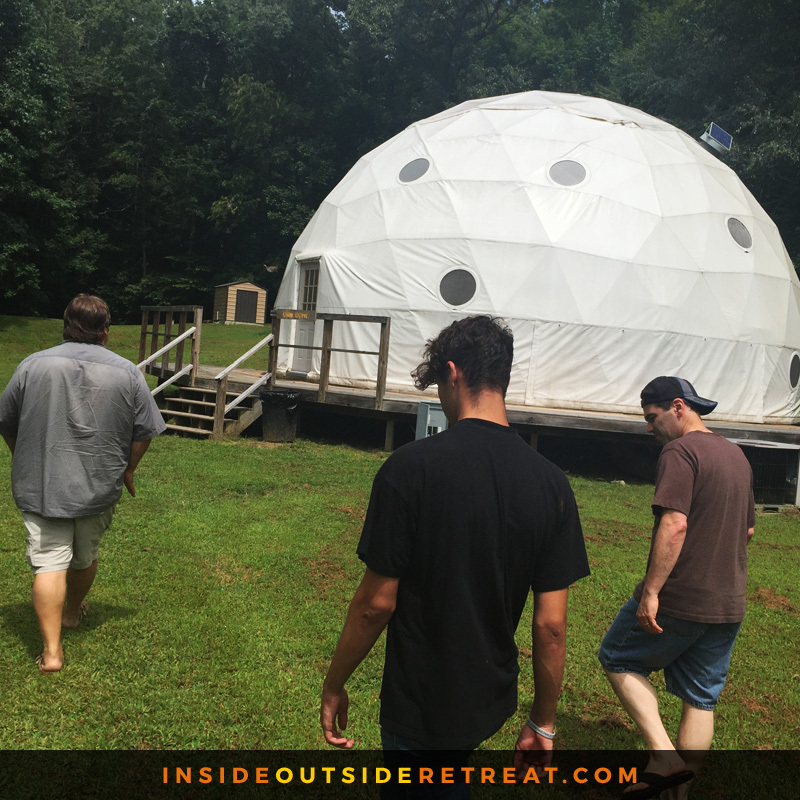 Scoping out what would become the "jam dome." The main lodge. Where the performances, guest lectures, and...most importantly, the delicious food took place. 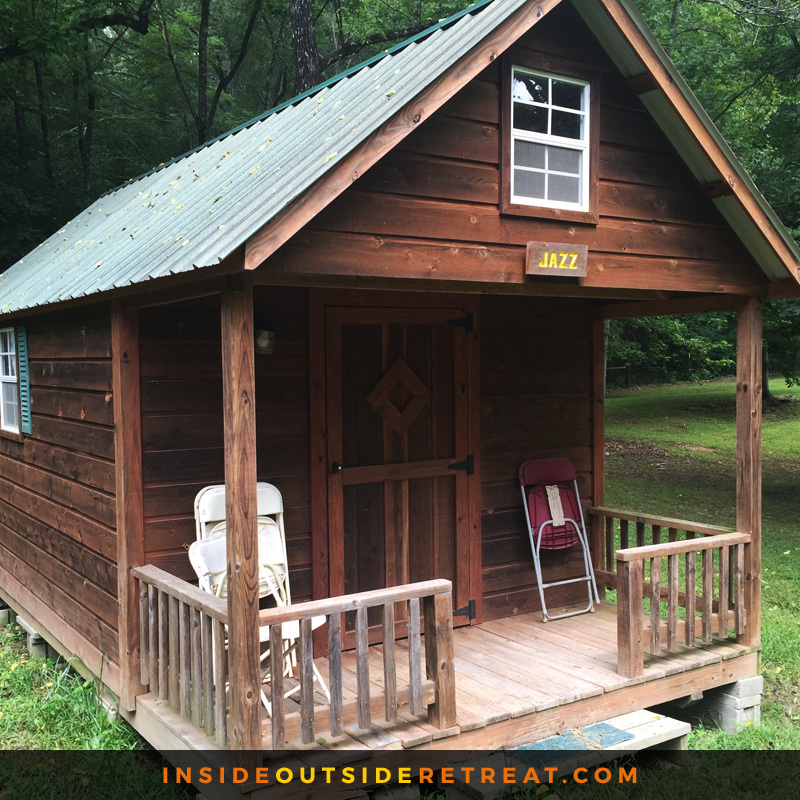 If you're gonna come to a saxophone retreat in the woods, it's nice to see the cabins named appropriately. Don't think this needs a caption. Saxophone heaven... Day before camp, setting up the wonderful gear from our friends at HERCULES STANDS, D'Addario Woodwinds, Claude Lakey, Vandoren USA, Navarro Saxophone Products, Just Joe's - Saxophone Gel Strap and Legere Reeds, and Woodwind & Brasswind for contributing so much to our end-of-camp giveaway raffle. 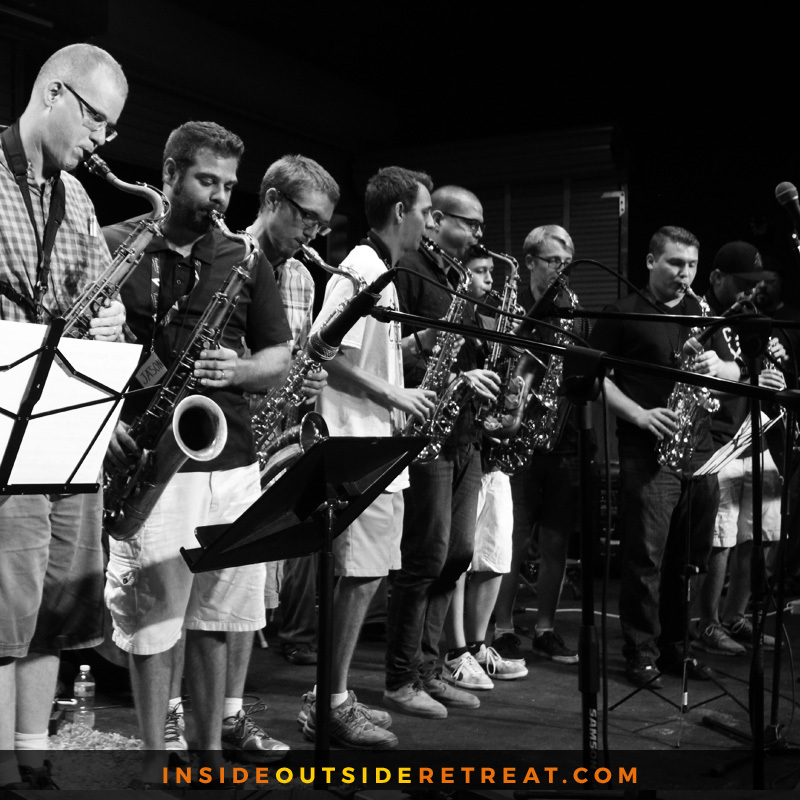 HUGE thanks for being the icing on the cake that was the Inside:Outside Saxophone Retreat! The saxophone players begin arriving. Room full of saxophone players. Ready to go! Night one... the gang supports each other as they all get through the nerves and play a bit for us. Long days. We don't mess around. Kirk Whalum, Victor Wooten, and Roy "Futureman" Wooten (not pictured) play us into dinner. L to R: Bob Franceschini, Kirk Whalum, Bob Reynolds, and Bob Hemenger after Kirk's inspiring master class. Mario Scaramuzza teaching saxophone repairs you can do yourself. Joshua Redman playing us into dinner. 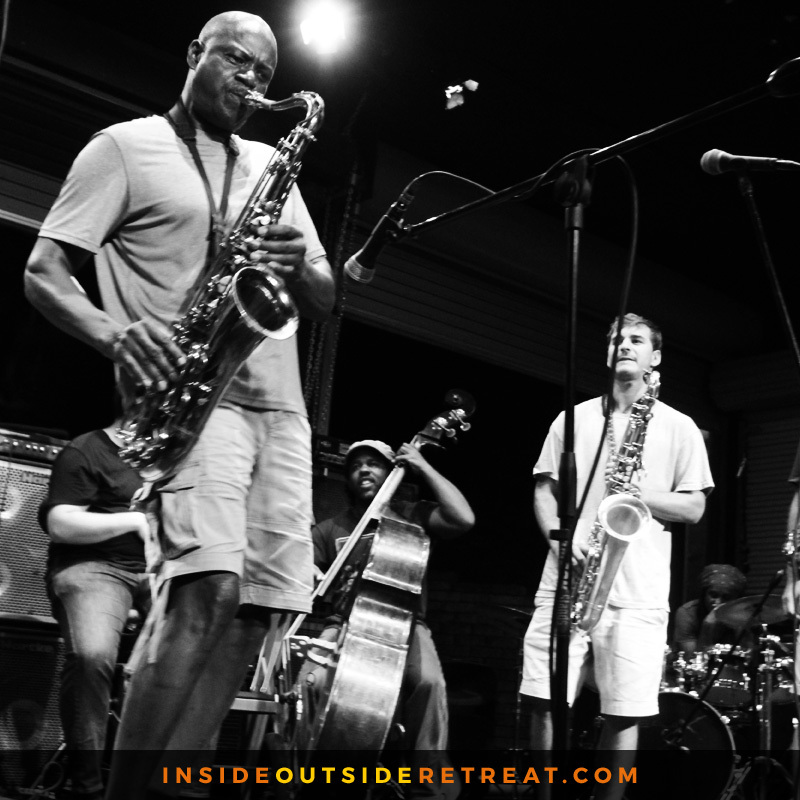 Joshua Redman and some super-stoked campers trade choruses, 8s, and 4s on a blues. (Clockwise: Bob Hemenger, Bob Reynolds, Joshua Redman, Bob Franceschini; Josh plays solo; Josh and Bob Reynolds play trio with Ross Kratter (bass) and Gerald (drums). Lisa & Co. start the evening's concert off with a bang. Daniel showing us how it's done...in Denmark. We were honored to be visited by bassist and living legend Chuck Rainey (seriously, look at his discography) at our final concert. Wow. Harold making it look oh-so legit. Hercules stands supporting us all the way. 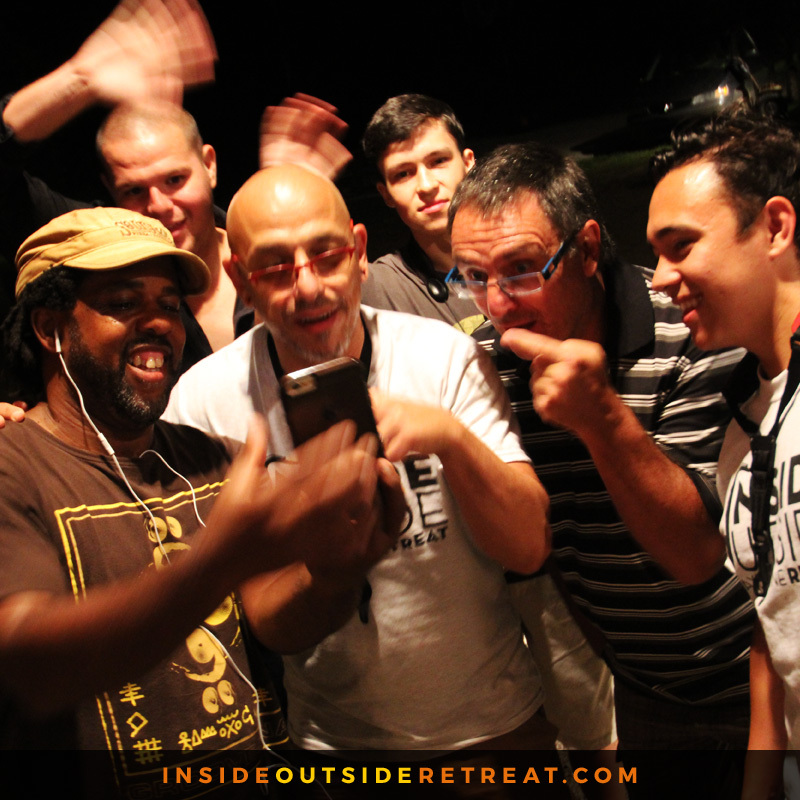 Victor and the gang doing a little facetime with...well with someone. The raffle! Courtesy of our friends at HERCULES STANDS, D'Addario Woodwinds, Claude Lakey, Vandoren USA, Navarro Saxophone Products, Just Joe's - Saxophone Gel Strap and Legere Reeds, and Woodwind & Brasswind. Russell taking home a grand prize. This is what happens when you turn a bunch of saxophonists loose around a buffet of reeds. Bob Hemenger rallies the troops for their final task on the last morning. The sad, empty room after everyone departed for home. 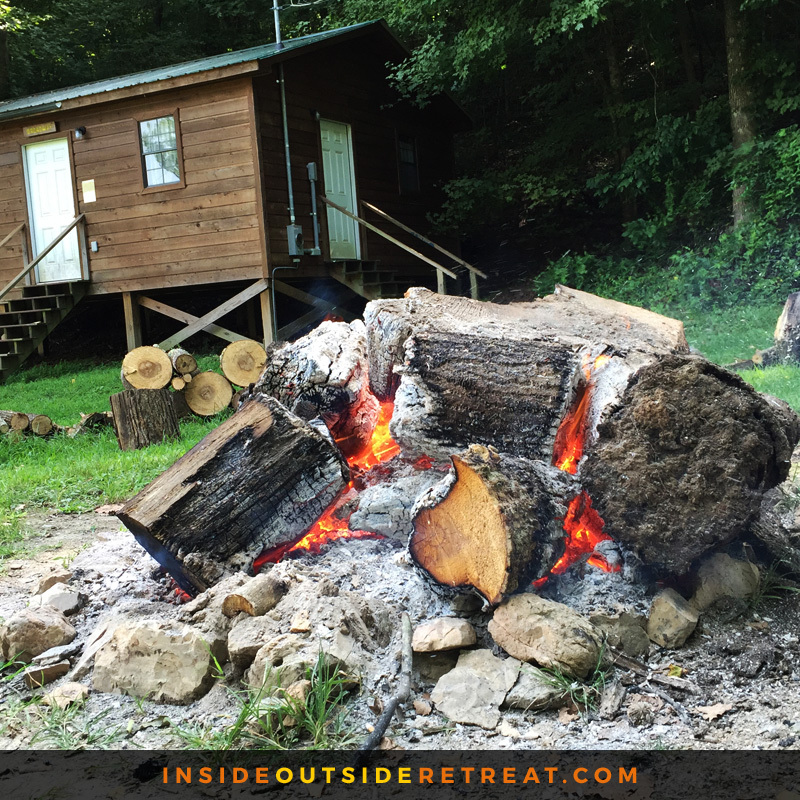 But we'll keep the fire burning for next year!